Original photo collages and posters are sure to become extremely popular with your customers. You can offer them stunning wall posters for interior decoration, wedding and birthday collages, promotional posters presenting a company and its products, and more creative products. myPhotoLab suite provides an excellent tool for making photo collages in any style - the Photo Collage Maker app. There are three ways of creating a collage with Photo Collage Maker: automatically making a grid collage from a folder of photos, using predesigned templates with frames and decorations, or creating your own layout from scratch. The software is very easy to use - all operations are done with drag & drop. On another note, it will surprise you with the variety of features. 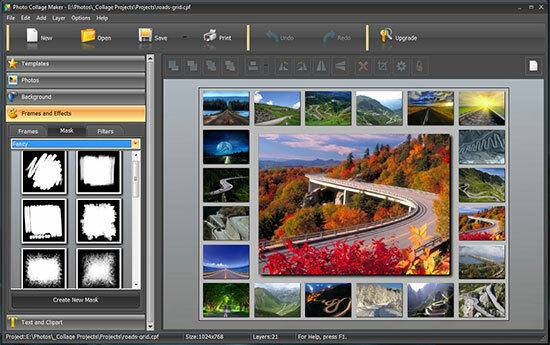 Position the pictures on multiple layers, add image filters, masks, shadows, borders, frames, clipart, and text. You can be very flexible with text settings, which lets you use the app for making beautiful greeting cards and invitations. 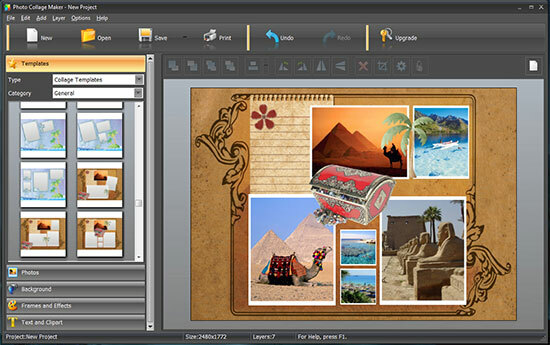 The software has a huge templates collection - there are collage templates in various styles. There are such themes as Seasons, Travel, Wedding, Children, Vintage, and more. Each template comes in several variants for adding one, two, or several photos. This gives you a chance to make stylish photo books for your customers.